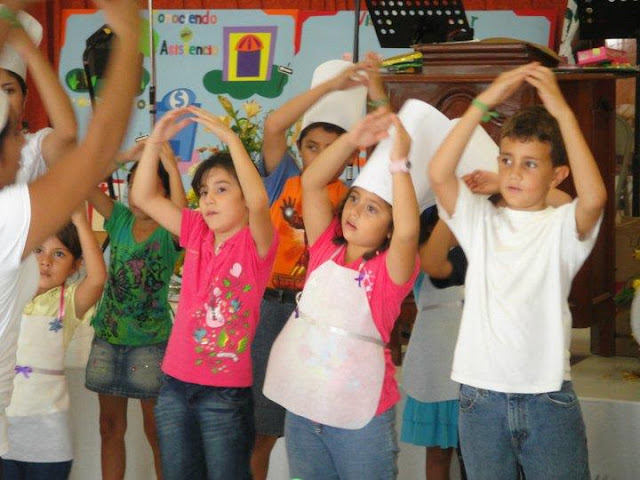 What would summer be like for kids if there weren’t Vacation Bible School (VBS)? Well, I would say a lot less fun! 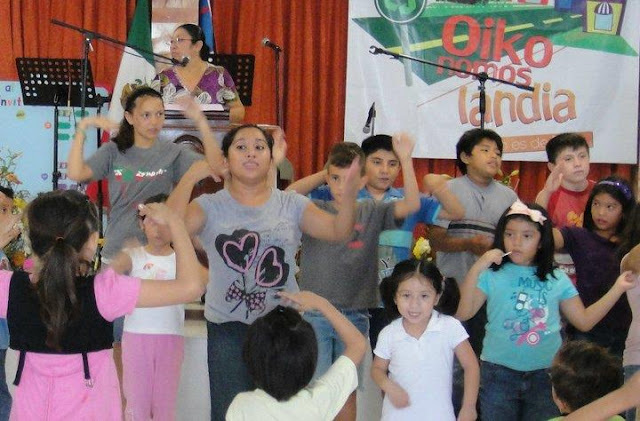 Here in Mexico, VBS is called Escuelitas Biblicas de Verano or EBDV. However you say it, these programs take a whole lot of preparation and a great group of people to pull them off. This July, my kids and I (Kelly) took part in putting on an EBDV in our local community, just 10 blocks from our house at the church we call home. Now, I can’t take credit for being the brains behind the operation. No, that job went to our pastor’s daughter, Lety. She did everything from attend a training session in the spring, to make paper mache piggy banks. And, believe me, there was a whole lot in between! Our theme was Oikonomoslandia – a city where everything belongs to God. 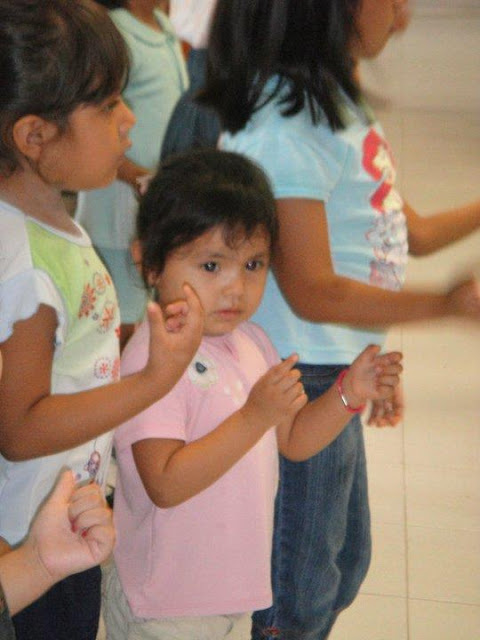 Our kids attended the classes for their age group and I had the privilege to teach the little ones – 2 and 3 year olds. We went to a ranch and met the farmer who taught us that although he takes care of all the animals and plants, everything is really the Lord’s – we are just stewards of His creation. We visited a restaurant and met a chef who taught us that whatever it is we do, whatever talents we have, we should use them for the Lord, be it shining shoes, selling cotton candy, or cooking in the kitchen. But those are just 2 specific buildings and people in Oikonomoslandia. All of the teachers prepared their daily lessons, complete with an oversized flip-chart with pictures to show the kids each day. The lessons included stories from the Bible, the salvation message, verses to memorize, and projects to do. This particular EBDV emphasized “caring for our planet,” so many of the projects used recycled materials. The kids went home with some pretty cool stuff! The last day of EBDV was actually the Sunday evening service, and we had a full house. There were at least 4 new families that came as well as several young people who attended the “Explorers” class during the week. Who knew that the teenage class would claim the prize for “highest attendance”? With anything in life, one needs to put in some time and effort to see results. While searching for the materials for projects or making photocopies of lessons or putting on the 5th layer of a paper mache pig, it is hard to think about the 8-year-old child who will hear about what Jesus did for the fist time. But, if we do not spend time on the routine tasks, the time-consuming prep work, and the study, we won’t see any results. God can’t use what we DON’T do, only what we DO. So, please pray that our labor would not be in vain, and that we would continue to reach out to these kids and their families, sharing with them Christ’s great love for us. And, pray that we would all take the lessons to heart, being good administrators of what God has given us, remembering that everything is His!!! Looking for more photos? Check them out here! Sounds like you put your all into this, so glad the kids could be a big part. May God continue to bring to remembrance the things that the children/teenagers have learned. Awesome to have lots of teenagers! !